Corrigan Street provides clients with a flexible and innovative approach to the construction industry ensuring that all their expectations and needs are fulfilled. We have extensive experience in both the private residential and commercial sectors. Our team of dedicated professionals provides a bespoke service to meet all your needs from inception through to occupation. Each member of the Corrigan Street team allocated to a project is highly qualified and dedicated, chosen for their experience, knowledge and ability commensurate with that required by the specific project and client. To ensure that the professional service provided is tailored to the exact requirements of each client, the Directors believe it is essential to be fully involved with all projects and therefore, actively pursue a ‘hands on’ personal approach to all aspects of the clients brief. It is our aim to be pro-active in solving problems with inventive solutions being sufficiently flexible to use a range of contracts and procurement methods that suit the unique requirements of a particular project and client. 'Your men if you want someone to handle your extension or refurbishment from start to finish'. 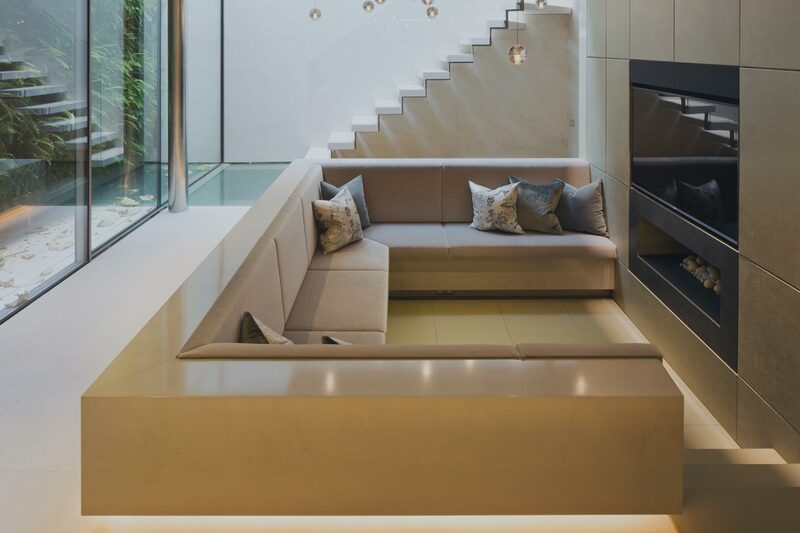 We believe that due to the bespoke nature of all projects, the services offered must extend beyond the constraints of the traditional role of consultants and tailored to the changing requirements of the client. This is a selection of our current and upcoming projects. Please contact us to request our extensive project portfolio.